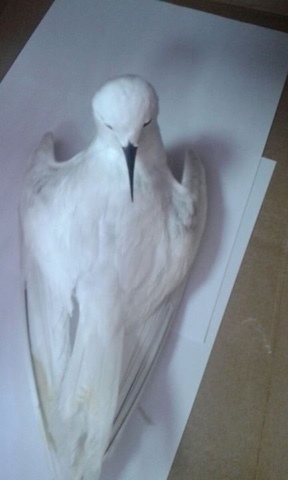 These photos of an injured White Tern were taken at Ciudad Hospitalaria by Nurys Palacios, who sent them to the Asociación de Estudiantes de la Escuela de Biología Facebook Page. The bird was found looking weak on the ground next to the guard post at the Ciudad Hospitalaria project on September 2. 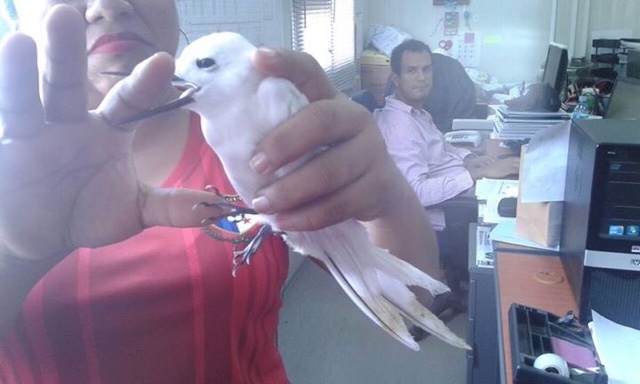 José Castillo, a security guard, caught it and handed it to Sandra Pinto, but it died overnight. This would be the first documented record of the species, previously known from a sighting of two birds during the 1983 El Niño event.